In the past six months, mentioning of “gut health” in food product marketing in Australia has surged. Google search analytics show this trend is still on an upward climb. The latest learning is the discovery of the consumers gut as his or her “second brain” and its pivotal role in overall health as well as effects on how happy or sad we feel. The increase in consumer interest relating to gut health criss-crosses innovative marketing of many businesses, whether they be in food, pharmaceutical, meal service, aged care or the technology sectors. The marketing follows a better understanding of the gut microbiome and the possible links to everything from anxiety and depression to weight management, diabetes, asthma and stress. 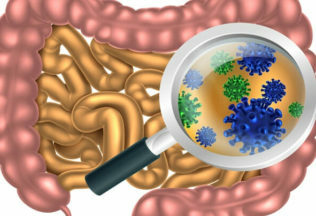 Whilst the science is still in its infancy and the specific role that an individual’s own microbiome plays in influencing health and disease outcomes is still largely unknown, consumers are convinced that they should pay for greater attention to solutions that will help them achieve optimal “digestive wellness”. Prior to this latest “gut health,” boom the focus of consumer marketing was in food avoidance strategies like gluten-free or lactose-free for consumers to remain free from discomfort such as bloating and diarrhoea (recognised as poor digestive wellness). When people avoid these ingredients and feel the benefit, it is the ideal motivation to purchase a specific product. This has been the underpinning success of many yoghurt probiotic brands such as Danone Activia’s “get comfortable with your tummy”. The success of probiotic dairy foods as well as the free-from trends (e.g. gluten, lactose, carbohydrate) indicate that consumers are motivated to buy products that allow them to feel digestive wellness. Consumers are seeking out or consider new categories that were unknown to them previously, Examples include kombucha which is a food that few Australians would have been able to pronounce a few years ago and yet is expected to triple in worldwide market value from 2015 to 2020. Some of the other previously not well-known categories that are likely to see an increased demand include fermented foods (e.g. Sauerkraut, Korean restaurants Kefir starter kits), different types of fibre (e.g. resistant starch to feed the gut microbiome), raw plant foods that are good sources of prebiotics (e.g. artichokes, legumes) and supplements that focus on gut health. Disclaimer: Any such claims would need to be substantiated and have to meet various legal requirements.